The startup scene in Dubai is picking up, yet if you speak to anyone trying to set something up you’ll hear them complain about a major issue: securing funds and VC’s in the MENA region. In a recent interview with Dr. Adel Youssef of Intafeen.com he mentioned “VC’s in the MENA region are not real VC’s, they don’t want to take risks”. Now I’ve heard that way to often however no one really wanted to go on the record because they were trying to secure funding and were afraid if they spoke out they would essentially burn all their bridges! But I think found a VC that is looking to shake things up in the region. It all started on March 10th when I was invited to attend The Big Start at MAKE business hub, I was glad I went because I saw a big group of ambitious students who are all looking to start something on their own. So I decided to get in touch with the organizers and see if they would give us more information about what they are trying to do. We sent them a list of questions and we got answers from Rachael Wunsch, CEO, Al Tamimi Investments. What is The Big Start? The Big Start is a student entrepreneur competition launched in 2009 by Al Tamimi Investments (ATI) with the aim of identifying and supporting budding entrepreneurial talent in the UAE. The competition is open to final year undergraduate students as well as postgraduate university students in the UAE who are under 30 years of age and provides them with the chance to start their own business when they graduate, with the full funding and support from Al Tamimi Investments. How does The Big Start Work? The Big Start runs in three stages that run throughout the year. In the first round, students are required to submit their business ideas online. They are reviewed by the Al Tamimi Investments’ team and shortlisted based on feasibility, merit and personal characteristics of the student. Students who progress to Round 2 gain practical experience in developing full business plans through an intensive business plan workshop and one-on-one mentoring sessions with the ATI team. These business plans are reviewed and finalists are selected for Round 3. Round 3 finalists are provided with intensive business presentation skills before presenting their plans to the judging committee. They present their business plans to the ATI management team, which then shortlists finalists to present to the Chairman. The finalists get to experience what it is like to pitch to a potential investor so they know what to expect in case they look for other financing opportunities in the future. The winner will work closely with the Al Tamimi Investments’ team at every stage of the process to bring his/her idea to reality. Once the business goes live, the successful student(s) will hold the position of CEO and an agreed structured shareholding in the company. Al Tamimi Investments will provide full funding and operational support for the new business. Why did The Big Start start? The Big Start is the brainchild of Essam Al Tamimi, the Chairman of Al Tamimi Investments. It is a grassroots initiative that contributes to the development of entrepreneurship in the UAE. The competition forms the cornerstone of Al Tamimi Investments’ corporate social responsibility programme and is one that is relevant to the nature of our business while positively impacting the local community. SMEs are the backbone of the UAE economy. Dubai’s Strategic Plan 2015 and Abu Dhabi’s Vision 2030 address the need for entrepreneurship in the UAE and our mission is to contribute to these objectives by offering practical support, mentoring and financial investment to the next generation of successful entrepreneurs. Who is behind The Big Start and what do they do? The Big Start is run by Al Tamimi Investments, a holding company headquartered in the UAE with a diversified investments portfolio in the UAE and wider GCC. Everybody on the ATI team lends their support to The Big Start including our Chairman, CEO, CFO, Venture Analysts, Marketing Executives, previous Big Start winners and even our support staff. We draw on our depth of business experience in various sectors to help the students improve the feasibility of their business ideas. It’s a very rewarding experience for us. 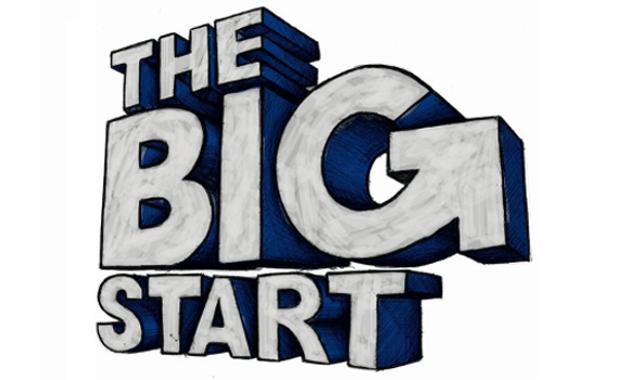 When was the first Big Start competition launched? What are you trying to achieve with the Big Start? We want to foster the next generation of entrepreneurs in the UAE. On what basis are participants accepted into the competition? Final year undergraduate students and all postgraduate students in the UAE, under 30 years of age can apply to The Big Start competition. Season Three of the competition is now in its second phase; however, eligible students who have a brilliant business idea can get ready for Season Four which will be launched in Q4 of 2012. Can you give us a brief description of the first two winners of The Big Start Competition and their business plans? Yahya Stapic, a graduate of the American University of Sharjah, won the first Big Start competition. He was studying a Bachelor’s degree in Marketing and Management in 2009 when he participated in The Big Start. Yahya’s winning idea was that of a fashion incubator store, which supports emerging fashion designers by offering them a platform to showcase their designs and refine their brand proposition. Yahya launched his concept store United Designers in September 2011 at Mirdif City Centre with funding and support provided by Al Tamimi Investments. We remain active partners in his business and continue to advise Yahya on both strategic and operational issues. Stephanie Ost, a 25 year old model and graduate of Middlesex University in Dubai, was declared winner of Season 2 of the Big Start competition. Stephanie’s idea was to launch a modelling academy that provides training to young models in the region. Stephanie has been modelling since the age of 16 and believes that the modelling school she attended in Germany was instrumental in shaping her international modelling career. Recognizing the significance of good coaching and guidance in a model’s early years, Stephanie founded SO Famous. She is now closely working with Al Tamimi Investments to launch her modelling academy later this year. What kind of feedback are you hearing from the participants of The Big Start Season Three? Season Three of the Big Start competition kicked off in October 2011 and we have progressed to Round 2 of the competition. Participation and interest has definitely increased from last year. We received 314 registrations on the website this year while 78 students submitted their business ideas. Earlier in March, we conducted a Business Plan Workshop for the 26 contestants that have been shortlisted for Round 2. From the interactions we had with these students, we can say that they definitely are taking their participation very seriously. The business planning workshop was extremely well received. and the students’ energy, enthusiasm and eagerness to learn is commendable. Any plans to expand this competition outside of colleges or maybe outside of UAE? In future, we would like to expand the competition to the wider Middle East, but we have not yet fixed a date for that roll out. How are you getting the word out about the competition? Have you carried out any marketing? Yes, we have implemented an integrated marketing campaign to support The Big Start which has been led largely by PR and social media and reinforced through visits to universities, student meet-ups and online and broadcast advertising. University liaison has been a really important part of our marketing program. The Big Start team has been conducting presentations at universities since the launch of Season Three to increase awareness of the campaign among students and university faculty. Through our PR campaign, we have also been able to generate interest and coverage in the media about The Big Start. The campaign also includes outreach through Facebook, twitter. LinkedIn and YouTube. In December 2011, we organized The Big Talk, a meet-up for university students to hear the stories of some of the UAE’s most successful entrepreneurs and to motivate them to participate in The Big Start to pursue their own entrepreneurial dreams. We have previously run competitions on our social media channels through various student groups to tap into their target audiences. In addition, we have been running advertisements online as well as on radio. What are you planning on doing in the future? For Season Three of The Big Start, we will continue to drip feed progress on the competition and finalists through the press and social media as well as universities and student groups that we have been closely working with in the last few months. For Season Four of the competition, we will continue to use marketing tools that have worked really well during Season Three. Other marketing efforts depend on how the program will evolve next season. If there are developments or changes, we will have to factor those in our marketing campaign. What did you find to have the best return and on what basis was it measured? We have seen good returns from all the media we have used this year. These were largely measured by comparing results with previous campaigns, capturing feedback from students, tracking registrations and submissions. We asked students how they found out about The Big Start and at least 22 per cent of our registrants learned about the competition through their university career groups/divisions. Nine to 10 per cent of the students heard about The Big Start from their friends and around the same number signed up via Facebook. The Big Talk brought in at least seven per cent of the students who registered on the website. We are pleased to see that our integrated communications approach has worked. What should start-ups from the region focus on when marketing their products/services? It is important for start-ups to have a solid base or strategy before implementing any marketing activities. Companies have to understand their target audience and find the best medium to reach them. There are many tools that entrepreneurs can use. With the onset of social media, it is rare to see an entrepreneur not use Facebook, Twitter, Pintererst etc. to promote his or her business. Also, these are low cost tools and start-ups generally do not have very large budgets to spend on marketing. Entrepreneurs should, however, remember that any marketing activity undertaken must be relevant to their product or service and their target audience. As entrepreneurs usually manage several functions in their organizations, they likely become tactical in their marketing approach due to a lack of expertise in one particular area and a shortage of time. They should avoid doing this as they could risk diluting their brand image if it is not managed well right from the start. I’d Like to Thank Rachael Wunsch, CEO at Al Tamimi Investments for taking the time to answer my questions and wish her and the ATI team the best of luck with fostering the next generation of entrepreneurs in the UAE. If you’d like to receive interesting news such and interviews with movers and shakers from the region register to receive our newsletter.